Lyell Ritchie, Vice President of Strategic Business Development at The Fedcap Group, and Scott Zelinski, Managing Director at Huron Consulting Group, talked about how to develop a roadmap to accelerate CRM adoption. 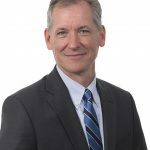 Zelinski began the roundtable discussion at the 2019 Customer Experience Leadership Forum: Beyond Satisfaction, Building Loyalty, held on March 12 in New York City, by announcing this would be an interactive session to explore how CRM impacts customer experience as well as providing a context and framework for backing out of technology and choosing the right technology. He offered this quote from Walker’s Customers 2020: A Progress Report: “By 2020, customer experience will overtake price and product as key brand differentiators” and commented, “We all live this, and we’re at the front edge. We need to have a road map to get started. This process isn’t months long. It’s weeks long, and that’s what we’re going to talk about. The model we use is ‘think big, start small, and move fast,’” he said. Each of these points on the customer lifecycle has a group of capabilities associated with it. Create an interconnected organization with full integration among systems, people, and processes. Leverage proactive marketing functionality to open new markets, increase revenue, and allow for predictable revenue forecasting. Launch a best-in-class customer experience organization that improves marketing efficacy, grows the existing revenue stream, and creates a secondary revenue stream. After Ritchie completed the presentation about his company’s experience, he and Zelinski engaged members of the audience via a poll conducted using mobile phones so the audience had the opportunity to virtually emulate Ritchie’s experience in their own company. The first poll question was, “In one word, describe your firm’s CRM adoption.” Audience members were then asked to consider the “reach” capabilities of the customer life cycle: “As we’ve defined it, please rate—from 0, meaning no impact, to 5, meaning significant impact—this capability in terms of its business value to your firm and importance to your company compared to other priorities around CRM.” Thirty-three percent of the audience found “reach” had significant impact on their business. The audience then rated the remaining four capabilities—acquire, develop, retain, inspire—and ranked them according to their importance to their company. Seventy-three percent rated “acquire” as significant.